Digging in the archives here at 1967beetle.com, we wanted to put this fantastic article in the spotlight once again. 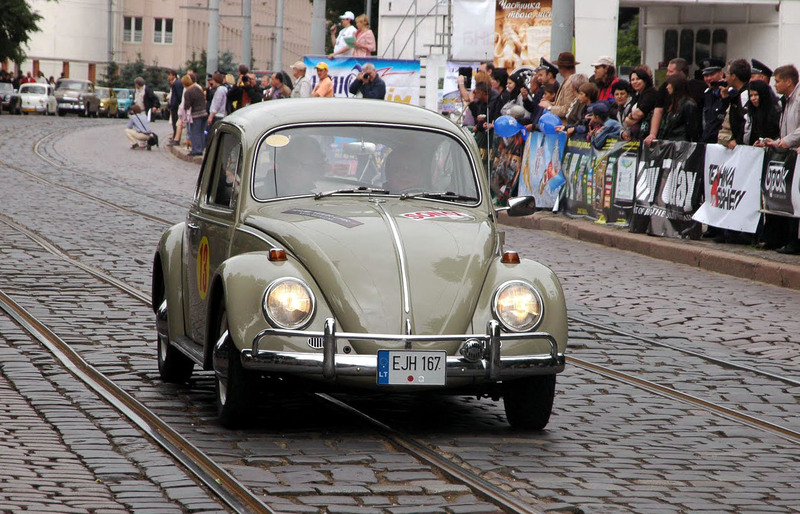 Our interest in people and their ’67 Beetles has travelled deep into Europe for this story. Linas Barščevičius lives in Lithuania. He has restored this ’67 and rallies it annually. There are so many VW Beetles in the world. And every car and it’s driver have their own story. This is my story how I became a Beetle owner and a fan of classic VWs. As far as I remember myself, I‘ve always been interested in old cars and automotive history. My profession and my everyday work are also closely connected with cars but the new ones. So, the idea of having my own old timer was just a matter of time and an acceptable offer. 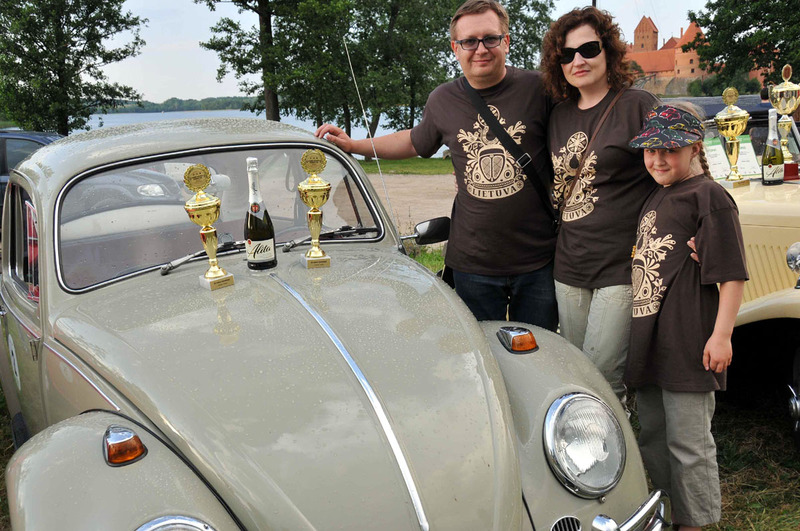 Some years ago I started to work at Volkswagen importer office of Lithuania and got an opportunity to meet the guys from Lithuanian Beetle Club. I saw their passion to old VW cars and this encouraged me to study history of Beetle more deeply. And I was intrigued by the story of this car which was initiated by Adolf Hitler and executed by genius engineer Ferdinand Porsche. So, I stated to dream about having a pre-1967 Beetle. One thing made my dream come true in a shorter period of time. It was my 10th wedding anniversary and my wife made me a surprise – a ride on T2 bus which was owned by President of our Beetle Club. Very soon after that, he sent me an internet link of sales ad. And I finally found what I was looking for – a nice Beetle Deluxe produced in January 1967. It stood in Austrian mountain town and was slightly damaged in an accident. Unfortunately, somebody bought it faster than me. 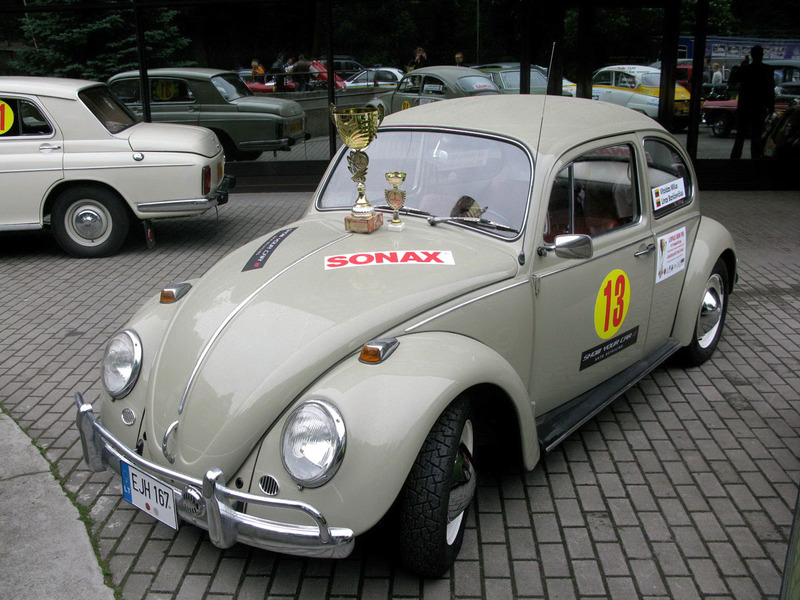 And what was a surprise when I saw the same Beetle on Lithuanian car sales portal! The car was already brought to Lithuania and was again on sale, just for a little higher price. This time I contacted the seller very quickly and bought a car. After looking closer I have discovered that car was complete and in relatively good shape except a damaged front left end. I could start participating Beetle festivals with my own car only 2 years later. First, the restoration of the body was made by professionals and took more than one year. The car was painted in original colour “Sea Sand”. At the same time I, with a help of my retired father, restored or changed all mechanical, interior and exterior parts. I had no problems to buy parts I needed, we can easily buy it from Germany via internet, and our local Club also has an impressive stock of spare parts. 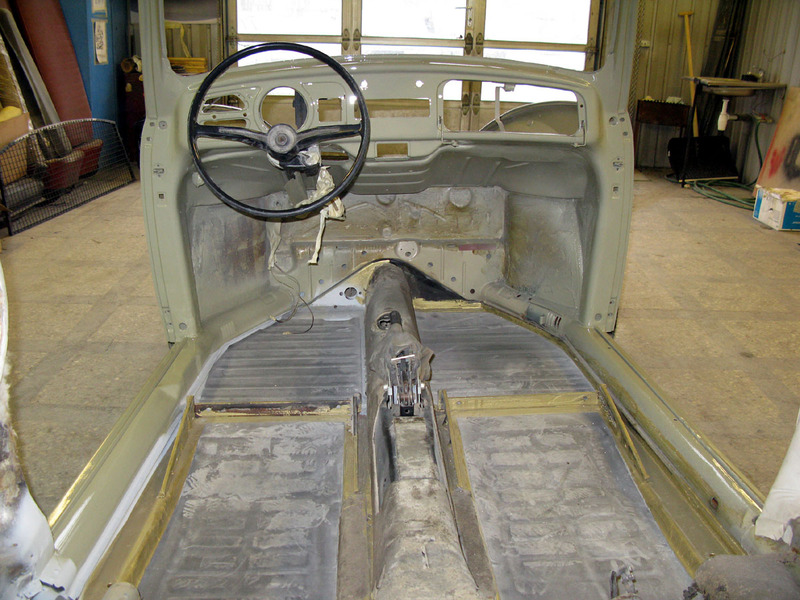 The restoration process was really challenging, but very exciting occupation after work and on weekends because I wanted to make everything to look like an original car. I got to read a lot of literature and The Samba was my favourite website at that time…. In the end we finished putting all parts together and made a first trip along streets of my hometown on autumn 2009. Since I already knew a people from local Beetle club, I became its member soon and was actively involved to Club activities. Two years later, I was elected a President of Club. Now I cannot say what is more important to me – my personal “Beetle” or Club. Or maybe one cannot exist without the other. Club has a great atmosphere and a lot of meetings every year. “Beetlemania” becomes a way of life not only for me but for my family as well. Every year our family has a few bigger journeys by our beloved Bug. We visit old timer festivals not only in Lithuania but in other countries also. This year we had a longest trip so far – to “Leopolis Grand Prix” festival in Ukraine. This is a great international event which brings together about 200 oldtimers mainly from Eastern and Central Europe. The event takes place three days. I drove 1500 km to city of Lviv and back home without any problem on car. I also take part in various classic rallies form time to time. Most of them are based on driving regularity and, since I have some experience in this from past, I win sometimes. My biggest achievement was last year’s “Orlen Classic Rally” where I have won 2nd place in class and 2nd place overall. 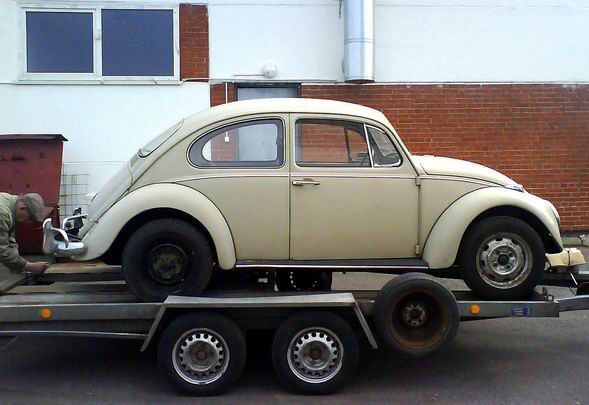 Thanks, Linas Barščevičius, for sharing your ’67 with 1967beetle.com. Great looking car and What a great story! I didn’t know ’67 had Sea Sand as a stock color. Sorry, the only things that are not ’67 correct – wheel caps (must be flat, not half-moon) and interior handles of window winders. The rest are original parts and I didn’t replace anything. With the bumpers some 67’s did get produced without the 67 lower rail. Linas, great job. I’m restoring a 67, which has 4-lug rims, similar to yours. I’ve seen some cars with 5. Do you know what chassis numbers received 4, and what chassis numbers received 5? I just realized.. Same car! I love this car, Another thing, in the picture of the car on a trailer it has 4 bolt front wheels with 5 bolt rears, i’m wondering if the whole front beam was off a disk braked 67 or drum braked 68 beam? This is what it is all about, plus lets be honest who has the most bone stock 67 when we get down to it. Previous owner told me that after accident the damaged original front beam was changed to temporary 4 bolt beam from later car. Just to have car to standing on wheels and be transportable. It seems to be true because I found this beam attached only by 2 loose bolts. Half the fun of these cars is the detective work of what went on before, I once had a 67 squareback type 3, when I took the dash apart I found a note in it saying “I may be rusty, but I’m very trusty” :) Love it!! Linas, your car is beautiful! You did a great job on the restoration, and your story is probably one of the best I’ve read. Your 67 is Super! Best of luck to you & your family! Thanks for reading, enjoying and following our efforts. 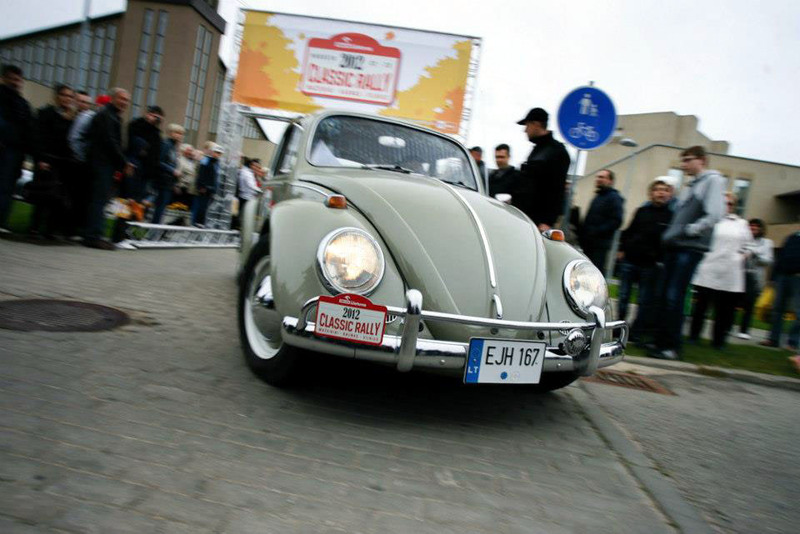 Linas mes ant ’67 Beetle.com tikrai vertiname savo nuotraukas . Smagiai su savo gražia automobilį. 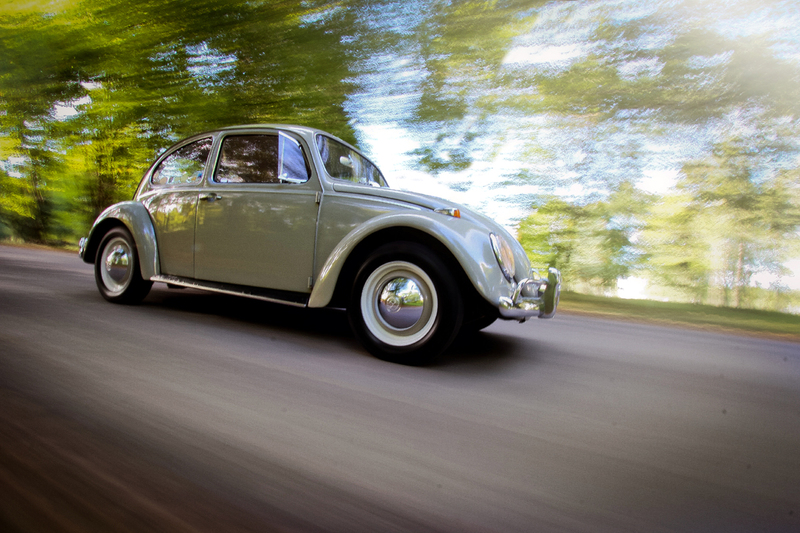 Linas, we on ’67 Beetle.com really appreciate your pictures. Have fun with your beautiful car. 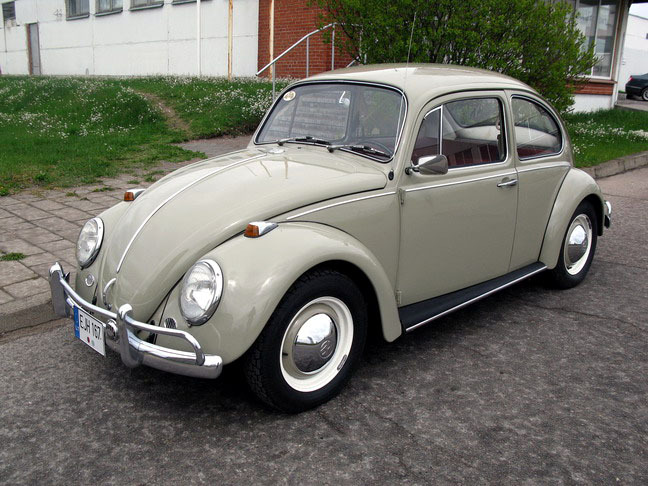 On this day in 1937 Volkswagen Beetle was introduced. Since there is history being discussed here, thought I would throw this in. If this day in 1937 didnt exist, or somehow history went a different direction that day, what we we all have to talk about that is as important. Great story! After I bought my ’67 Bug three years ago, I also bought my wife a ’70 Karmann Ghia Convertible one year ago! We both love our cars! But, then, we bought a ’71 Westfalia Camper and now are a three-VW family! Be careful because owning VW’s can become addictive! Hello guys! With a huge delay, I would like to share with you the photos of our trip to Nordkapp which we did in the end of June 2015. We traveled 15 cars in total, divided to 2 groups. We made 5300 km in total with no big technical problems. Enjoy! I’ve watched that video on YouTube several times. It’s great to read the story on this website. 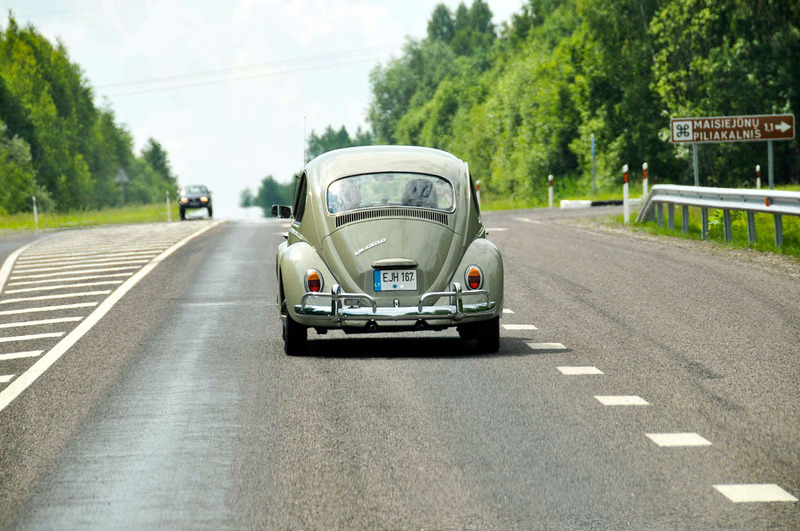 Hello Linas: I envy you those long trips in your precious Beetle. Travel in a VW is always a delightful adventure, intimate with the family and enjoyed by those who get to watch our one-car parade. Thank you for letting us in on your treasure and pleasure.